Most people in the truth community recognize that something is deadly wrong in America. Many have concluded that the U.S. government has become lawless and regularly acting in blatant disregard of the U. S. Constitution. What most apparently do not know or fully understand is that the government has actually been legally but unlawfully abusing constitutional war powers against its own citizens under color of law since FDR treasonably and treacherously invoked the World War I Trading With The Enemy Act of October 6, 1917, ostensibly to wage a war against the economic emergency known as the Great Depression. What really happened was that FDR declared war on U.S. citizens at the behest of the Federal Reserve Board of New York, in order to confiscate the nation’s gold. In 1994, Dr. Eugene Schroder did his country a great service by compiling a report on how it all came about. As shocking as this may seem to some readers, those war powers invoked against U.S. citizens at that time are still valid law and in full effect. Dr. Schroder’s report can be heard in its entirety at this link. The original audio was poor but is enhanced in this file. However, at about 15 minutes into the report, the volume must be turned up to be sufficiently audible. In his report, Dr. Schroder explains very clearly how the emergency war powers invoked by FDR under the Trading With The Enemy Act as amended in 48 Statute 1 — the Emergency Banking Relief Act of 1933 — became part of the U.S. Code and how the U.S. has been in a state of national emergency ever since. As such, the government is run solely by the executive branch as a de facto dictatorship and its bureaucracy, with the U.S. Congress and Supreme Court having mere perfunctory roles. Dr. Schroder goes into great detail how 48 Statute 1 and FDR’s executive orders perpetually made the monetary transactions of U.S. citizens, in effect, subject to the same regulations as those of declared enemies of the U.S. government, as long as there is either war or a declared national emergency in effect. However, one critical fact Dr. Schroder may have missed or overlooked in his research is that in 1977, Congress again amended the Trading With The Enemy Act in the International Economic Emergency Powers Act, 91 Statute 1625, to limit the powers delegated by Congress to the President in 48 Stat. 1 to only times of war, not under declared national emergencies, though the executive orders implemented since 1933 remain and in effect give the POTUS dictatorial powers. This statute is codified in Title 50 USC and regularly cited by sitting U.S. presidents to perpetuate the state of national emergency. However, because 91 Stat. 1625 removed the Trading With The Enemies Act war powers over American citizens authorized in 48 Stat. 1, the government no longer had the legal justification for making enemy confiscations and captures on the land from American citizens, such captures and confiscations being now confined only to times of war. Most honest 9/11 researchers have concluded that the official government report is incorrect. It is conceivable that the attack on the WTC and Pentagon was THE false flag event by which rogue operatives in the de facto military U.S. government, controlled by the criminal central banking syndicate, instigated unending wars, as in Afghanistan, Iraq, Libya and elsewhere, to provide plausible legal justification for any action a sitting president decides to take under authority of 48 Stat 1, Title 50 USC, and Executive Order 2040. This could include the confiscation, at any time, of all land and property in possession of U.S. citizens, since Federal Reserve Notes hypothecate all real and personal property in the nation to the central bank and make U.S. citizens unwitting sureties for the national debt. Dr. Schroder revealed in his report how on his last day as president, Herbert Hoover refused to implement the amendment to the Trading With The Enemy Act making American citizens’ transactions the same as enemy transactions in time of war and national emergencies, as suggested by the Federal Reserve Board of New York. However, the exact same wording suggested with the critical change, craftily obscured by an ellipsis in the draft version of the proposal, then appeared in Roosevelt’s Proclamation 2039 that confiscated the gold two days after his inauguration, thereby hiding the truth from a desperate public of what was really happening. It was only on March 9th that the full wording appeared in the Emergency Banking Relief Act, 48 Stat. 1. An obvious pattern of deception is also evident in New Deal era Supreme Court decisions justifying the socialistic expansion of government by reinterpretation of the taxing, spending and commerce clauses of the constitution, absent any references to the continuing national emergency powers, as explained by this law review article. The following links are to most of the documents to which Dr. Schroder referred as exhibits. Title 12 USC § 95a and § 95b, referred to throughout the report. These sections of Title 12 have been omitted and reclassified under USC Title 50. This is “Contracts Payable In Gold” Senate Resolution 62. Finally, here are links to some of the “Prize Cases” referred to in the report. The following are a few recent executive memoranda by our current U.S. president continuing declared national emergencies, as required by the National Emergencies Act of 1976, codified in Title 50 USC. The reasons stated have little to do with any immediate danger on American soil. Why are none of these executive memoranda ever mentioned in the mainstream news? The deception continues. The American people need to get this essential information. Most people everywhere have come to see government as benevolent and working for their best interests, despite its shortcomings, similar to how children look to their parents. They conduct their trade, heedless of the terrible truth that the make-believe value of the national currency depends entirely on their faith in it. Why has this absurd situation come to pass? People of average intelligence are not stupid or apathetic. What we see is the atheistic spiritual disease of our age, known as statism. Occupation of our government by a ruthless central banking cabal, allied with secret societies, is a symptom of that disease. Only a godly people can make a democratic republic work. Leaders who believe in an Almighty Creator and the human soul will fear retribution in the afterlife for crimes against the people they govern. Common people will trust in God to help them make decisions, thus making them competent for self-government and confident to resist tyranny. 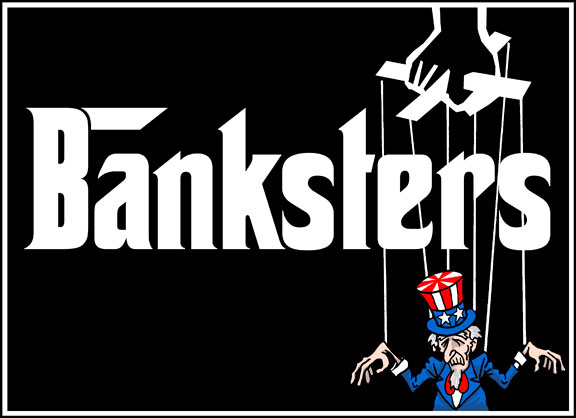 In 1933 the central banking cabal basically declared war on the American people in order to enslave them in perpetuity. That covert war rages on to this day and is taking on truly terrifying aspects. In Dr. Schroder’s report, we have solid evidence of how we got into this mess, and more importantly, that the solution is inherent in his message, because the exact laws that need to be changed are now known. All that needs to happen is for enough people to learn these facts for public opinion to turn the tide. The President must revoke all unjustified national emergencies and revoke Proclamation 2040, and the Congress must be compelled to repeal 48 Statute 1 immediately. Only then can constitutional government with a bona fide currency be re instituted for peace and prosperity to be restored in our land.